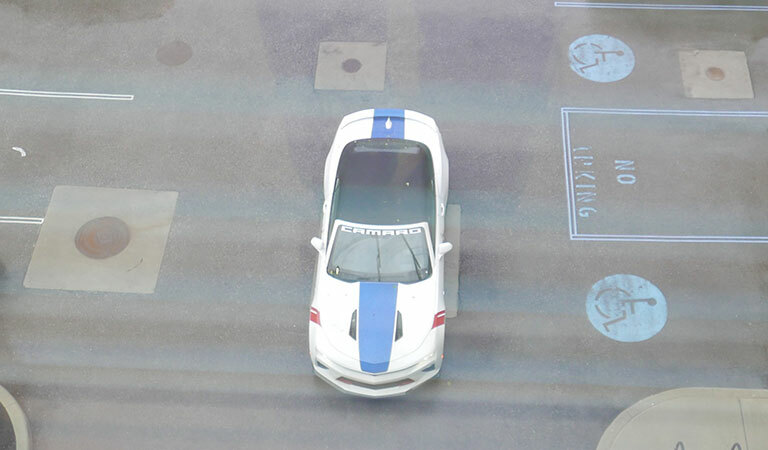 The IndyCar Grand Prix Camaro pace car as seen from above upon its arrival to University Hall @IUPUI. Sweet ride. 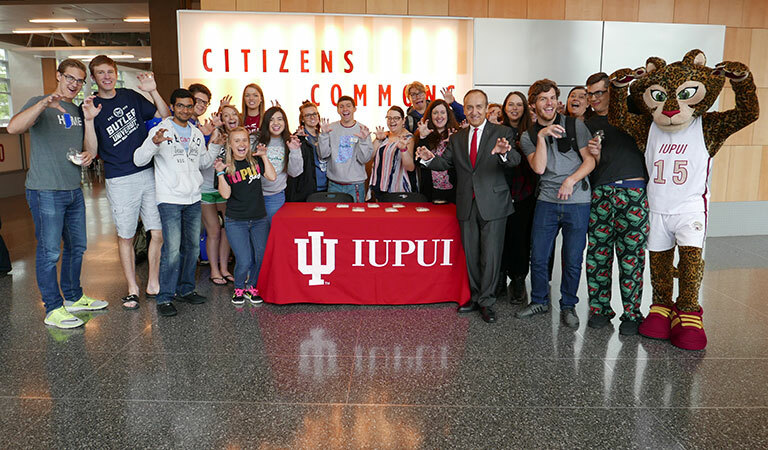 Tom Dunmore, Director of Marketing for the IMS, hands Camaro keys over to IUPUI Chancellor Nasser H. Paydar while Jo McIntyre of the Chancellor's Office looks on. 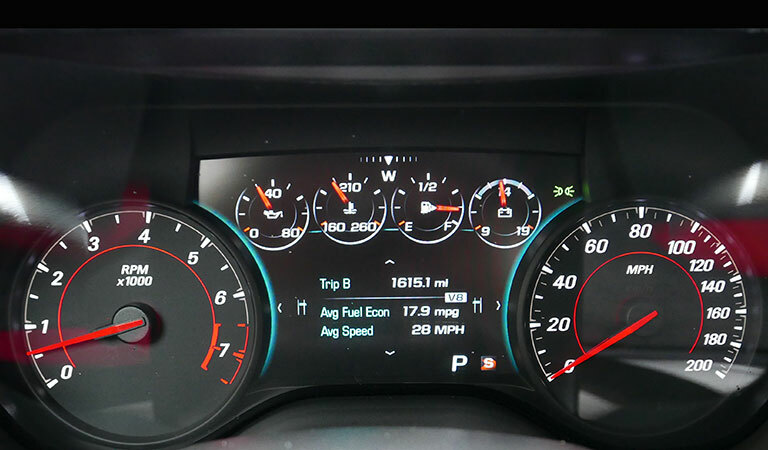 This car is definitely #1. 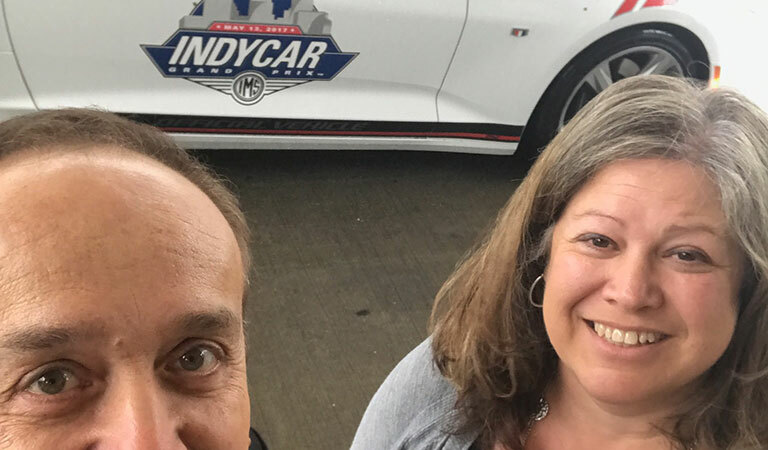 Chancellor Paydar and Vice Chancellor for Finance and Administration Camy Broeker share a moment outside of the @IndyCar Camaro. 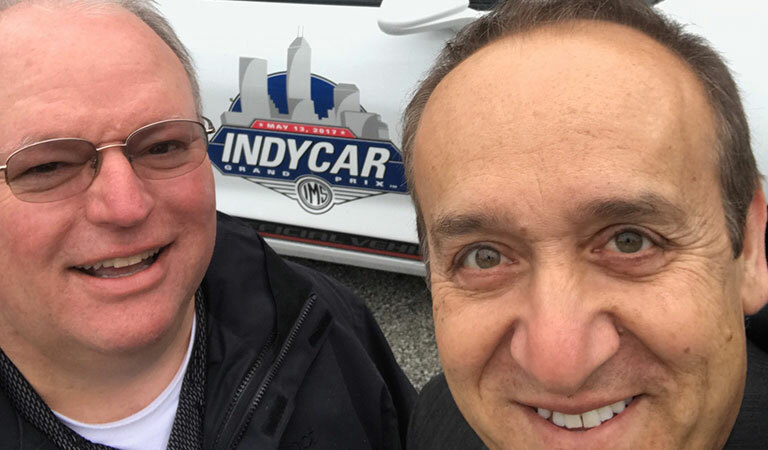 Chancellor Paydar gets a few driving tips from Chief of Police IUPD-Indianapolis Bob True. 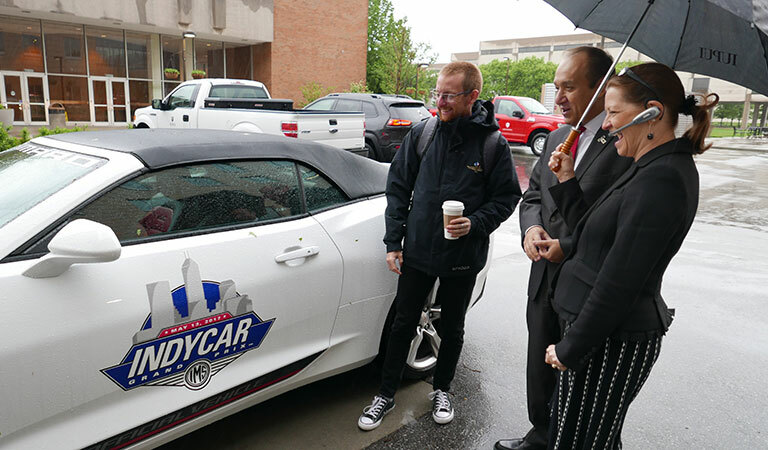 A full crew of assistants at the IUPUI Campus Center helped pass out cookies, delivered by Chancellor Paydar in the @IndyCar Camaro. 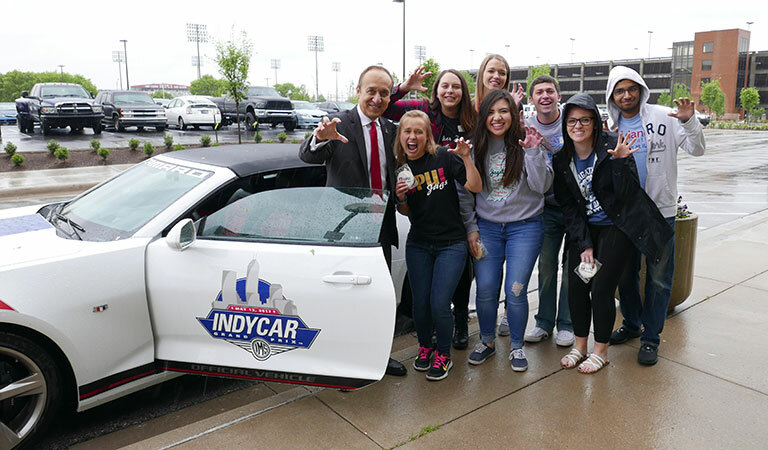 Jags roar with Chancellor Paydar next to the chancellor's sweet ride. 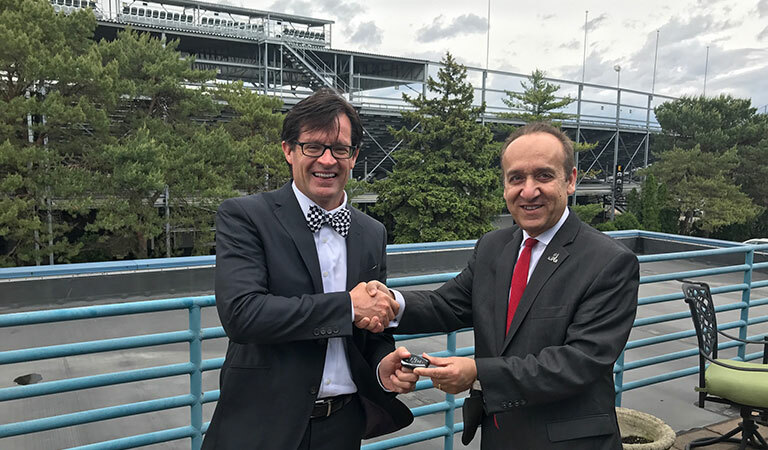 A bittersweet moment as Chancellor Paydar turns over the keys to @IMS President Doug Boles. 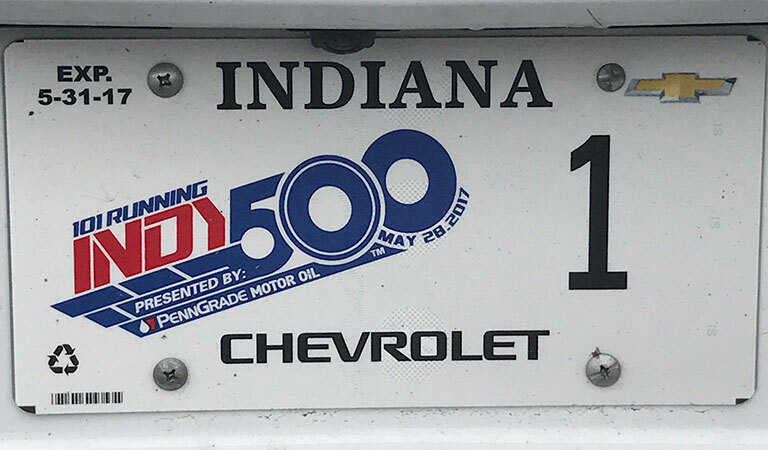 Special thanks to the Indianapolis Motor Speedway for making this a Friday to remember for @IUPUI.